Be The Central Park of Your Industry – This is me. Sunday, May 20th was an absolutely perfect day in Manhattan. I mean P-E-R-F-E-C-T. In trying to be better with my regular workouts, the obvious question for the day was which park do I want to run in? Carl Schurz Park is 2 blocks away. Central Park is 6 blocks away. Easy question, right? 2 vs. 6 for basically the same city, same air, same weather, and same run. Clearly I chose the one that is further away because Central Park is simply better … better track to run, more space, and better views. What is more important to note is that I, as well as other NYers who live even further away, do not mind going three times as far to enjoy those benefits. Let’s face it…in the parks industry, Central Park is one of the best in the world, without a doubt! Think about this in regards to your business. Sure, NYC parks are free (after paying my hefty tax bill!) but would your customers travel three times as far to buy your product? Maybe pay three times the competitor’s price to buy yours instead? 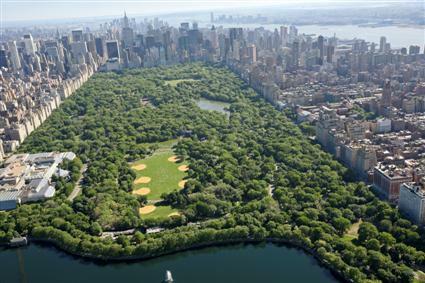 Aim to be the Central Park of your industry and your business will thrive for years to come.